Grow Your Career and Have Fun in Radio! The only Haverhill-based news source, 97.9 WHAV FM, is growing its new, fun and rewarding sales department and seeks a full-time account executive. The successful candidate will consult with prospects and clients, helping them to meet their business goals while supporting WHAV, the region’s leading source of local news, information and entertainment. You must have superior drive, self-discipline, great interpersonal communications skills, proficiency in Microsoft Office and reliable transportation. If you’re good and want a place to grow and advance, upload introductory letter and resume using the form below. WHAV is an equal opportunity employer. To be considered, upload introductory letter and resume using the form below. 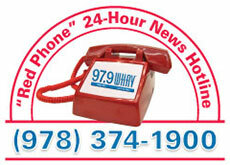 Public radio 97.9 WHAV FM, the only Haverhill-based news source, seeks part-time or freelance general assignment reporters to cover local night meetings and take on other assignments, as needed. Position requires exceptional news judgement; natural curiosity; ability to quickly write and edit for all platforms, use technology to produce photographs and audio to accompany articles; excellent English spelling and grammar; thorough knowledge of AP Style; solid PC skills; tenacity and assertiveness while maintaining strong community relations skills; strong ethics; a professional appearance; and valid driver’s license and good driving record. To be considered, upload introductory letter, resume and multiple news writing samples (URLs accepted) using the form below. Interested, but not sure you meet all requirements? Just ask in your introductory letter.